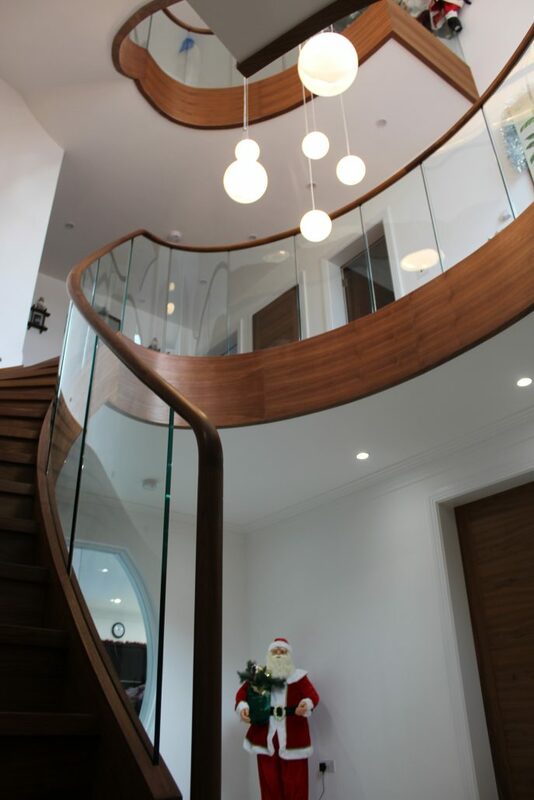 Our client had been let down by contractors whilst building his dream home – Handrail Creations were appointed as the company to take the reigns and steer home the project in time for Christmas. 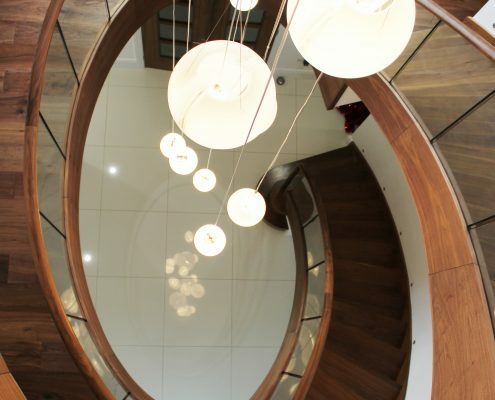 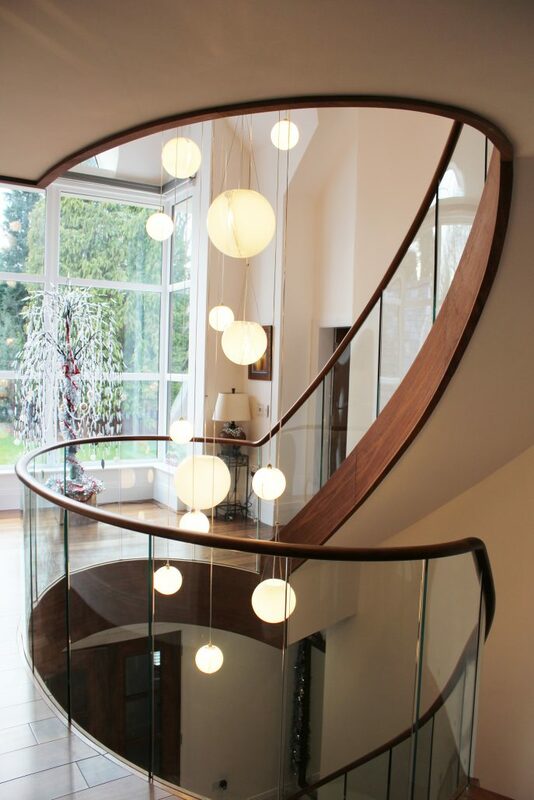 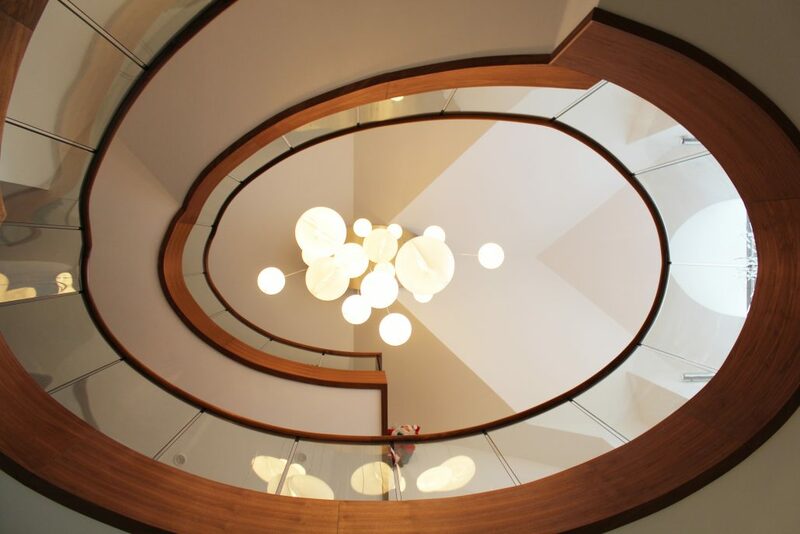 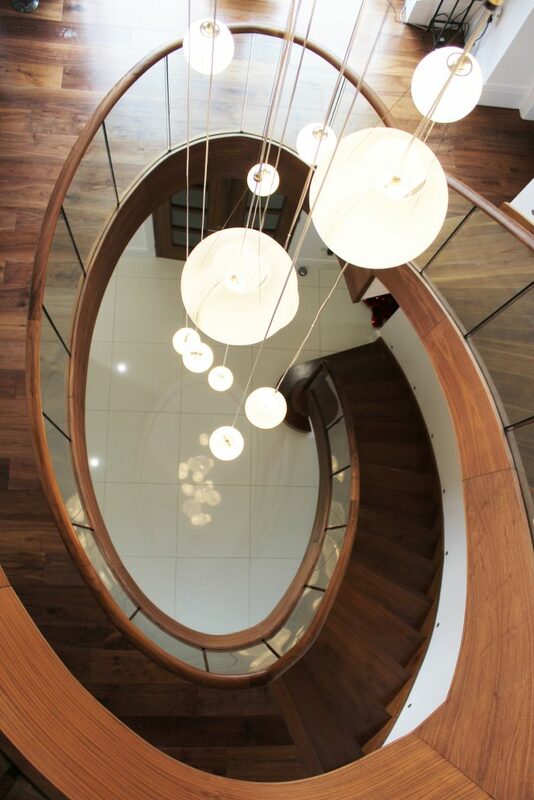 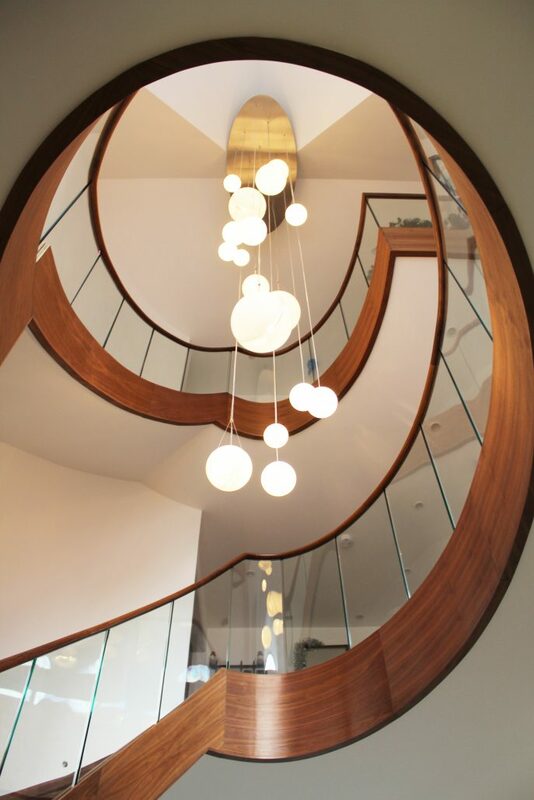 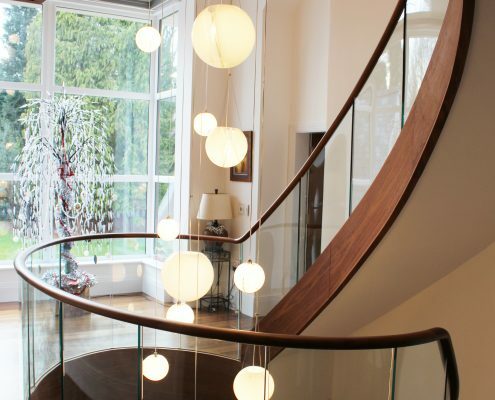 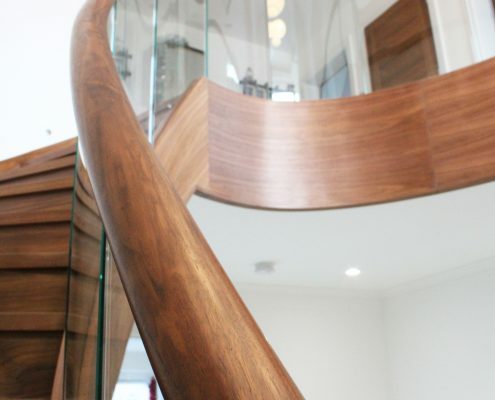 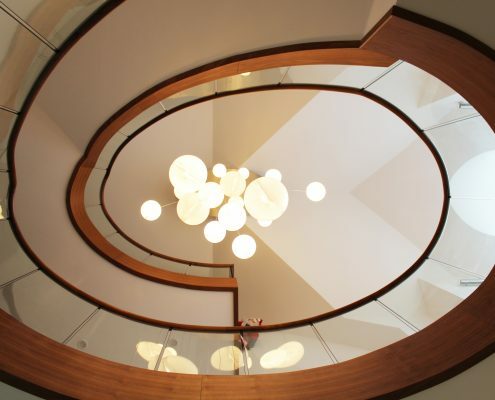 The elliptical staircase is at the very centre of the home, running over three floors continuously. 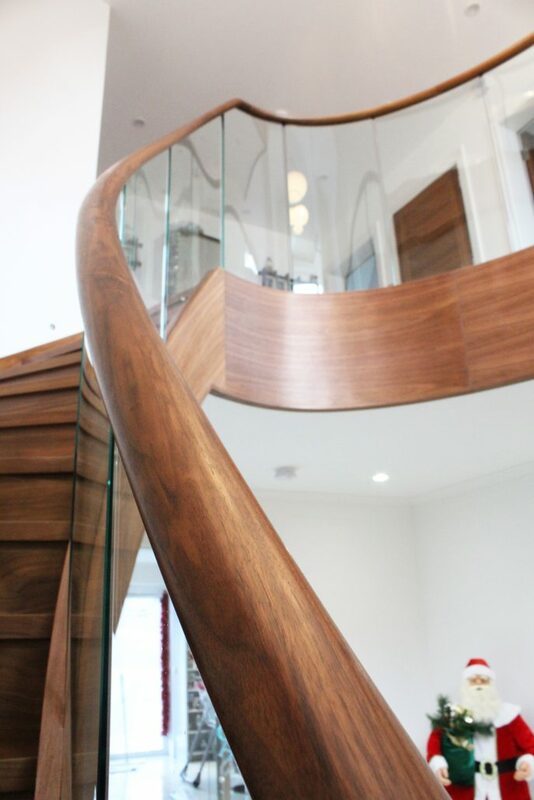 The glass was fitted but “nobody” was willing to take on the timber handrails, until we stepped in. 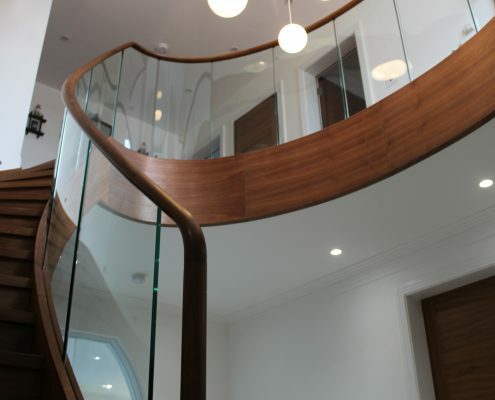 Once again our precision surveying and designer’s eye for detail ensured that the continuous handrail fitted perfectly, in less than a day. 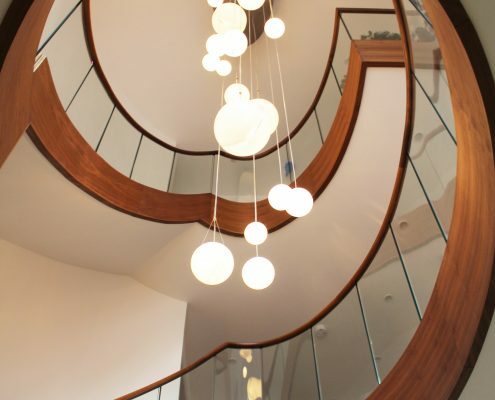 The customer, who has moved in, in time for Christmas was over the moon, adding “Every day when we see it, we think how beautiful it is”.